Ah the overpowering scent of vinegar wafting through my house! It’s everywhere: in my hair, my clothes, the freshly-washed laundry waiting to be folded… But it’s when you step into the kitchen that it really burns your eyes, bringing tears streaming down your cheeks. Yes indeed, it’s my first pickling day of the year. For some reason, I’d completely failed to eat two Abel & Cole pumpkins for so long that they were really past their best. So there was only one thing for it: pumpkin chutney. I followed a recipe I found at the British Larder that adds some apples (for which I picked a few windfalls from our garden), raisins, plum tomatoes (I had none, so used a tin) and various delicious spices. 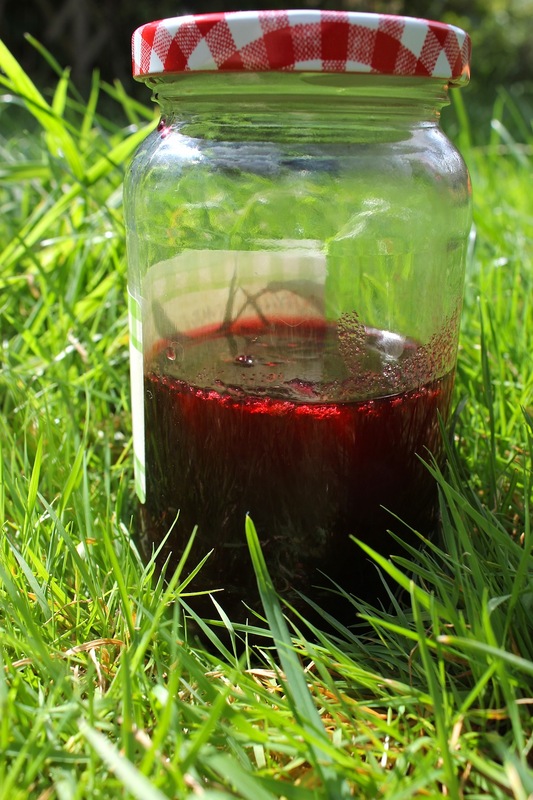 Yesterday saw more preserving as well, with the blackberries we’d picked in the cemetery. I made up a batch of blackberry and apple jam, following a recipe from the Cottage Smallholder. 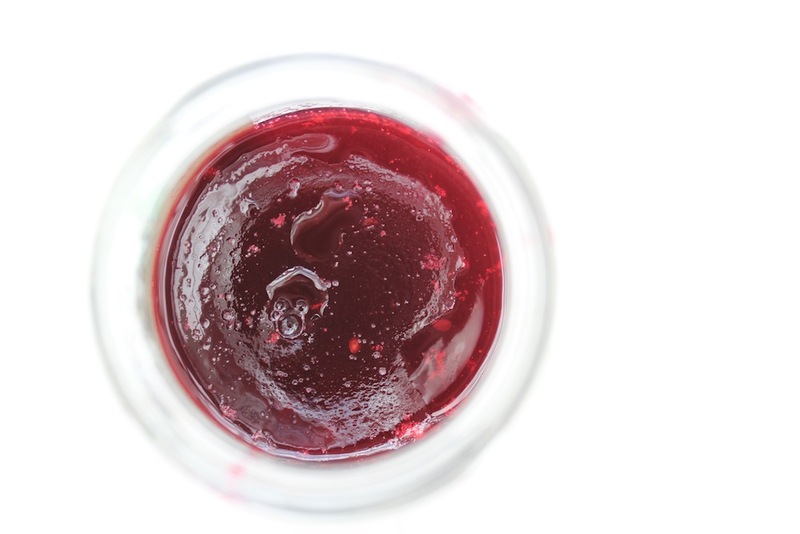 I guess it’s somewhere between a jam and jelly, since it is sieved, like a jelly, to remove all the blackberry seeds, but, like jam, will be used on toast, not cold meats. The smell of this stuff was absolutely incredible, and I couldn’t resist opening a jar straight away, so I can report that it is really, really, really tasty. Yeah, I like to keep my jams and chutneys out in the garden. Don’t you? Pickling, preserving, jamming, chutneying, I love it all… For some more it’s-nearly-Autumn recipes, take a look at my apple and plum compote, apple and sage jelly or my apple and and lemon curd. Can’t say that I am a chutney lover. I love the name but never tasted it. Not a biggie here in Ohio, USA. However, we do love Smucker’s jams and jellies. There ads say ” with a name like Smucker’s it has to be good”! The company has been in nearby Orrville Ohio since 1897. They use a red gingham jar lid just like on your jar. I was going to include a pic but can’t see how to add it to a comment. 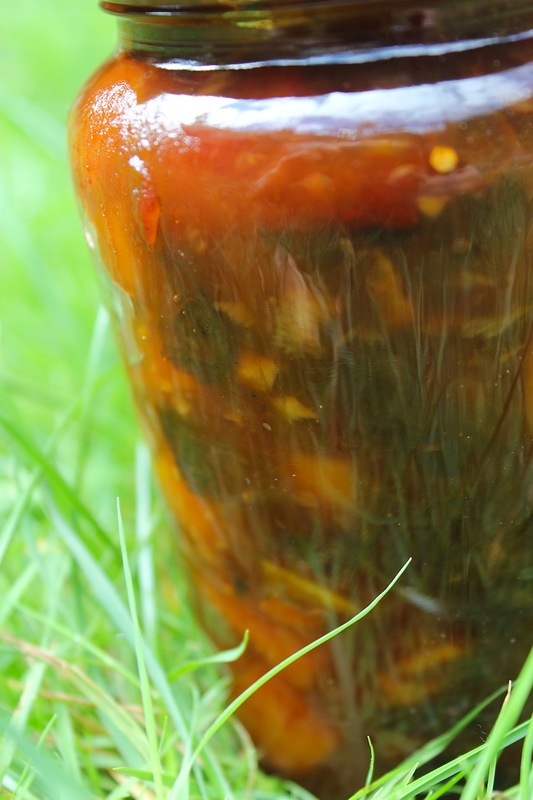 Oooh, chutney is a great, great thing! I’d post you some, except for the fact I’m sure that breaks all customs rules. You must be a couple of weeks ahead of us, down there. I’m sure I’m annoying most of the travelling public around here with my slow driving down country lanes scanning the blackberry hedges. I will be sure to try out that jam though. I usually only freeze my blackberries for our favourite apple and blackberry crumble throughout the winter. Mmmm, cheese, crackers and maybe a few grapes. Sorry, should have said tastes like almonds.